Represent your city and have a chance to win great prizes. 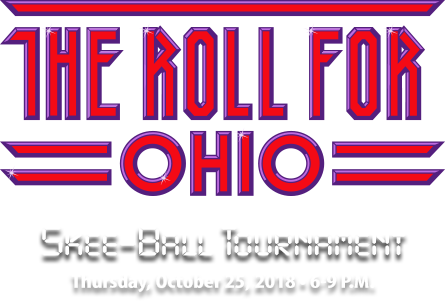 Join Ohio Lottery in introducing the Skee-Ball Instant game and EZPLAY® games by playing in the our tri-city Skee-Ball tournament, The Roll for Ohio. Every roll adds to your city’s score. The city with the most total points will be crowned statewide champion. Watch it live streamed on Twitch. Win up to $30,000 playing Skee-Ball games. Enter non-winning Skee-Ball tickets for second chance prizes.